The Flat Tech CT4110 table base is designed to work in dining areas with its 28.35 inch height. The top plate on this base accommodates 30-inch round and square tabletops. Since the column has a thickness of 3.15 inches, the base is stable under the tabletop and products. 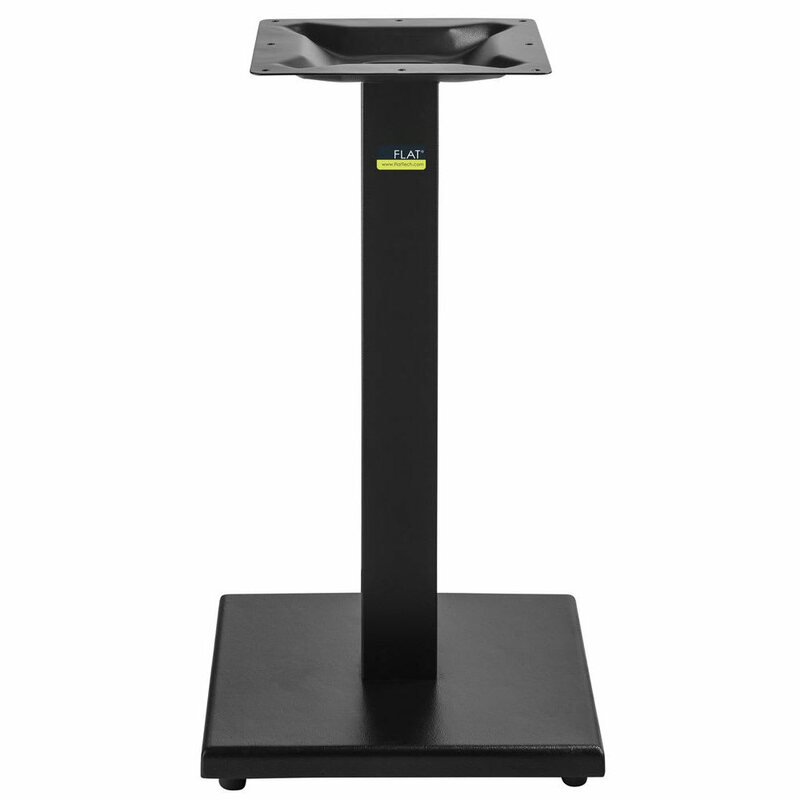 There is stabilizing technology installed seamlessly into the bottom of the Flat Tech CT4110 table base to prevent wobbling on uneven ground. Can hold round and square tabletops up to 30-in.